This is the story of a unique relationship between an exceptional guide dog and her human partner... The deep, spiritual connection between them through the ethereal thread of LOVE. The reader also learns about the life of her friend Cat and her struggles to survive in a city that each day turns more hostile to animals. Other topics are animal rights, the exploitation of animals, vegetarianism, natural healing and the environment. This book will intrigue and amaze you... You'll ponder, laugh and cry. 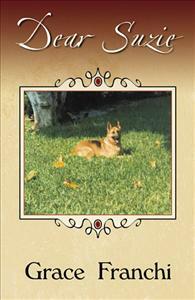 Besides being very entertaining and instructive for animal lovers of all ages, it’s also very helpful for people who have lost a dear pet.